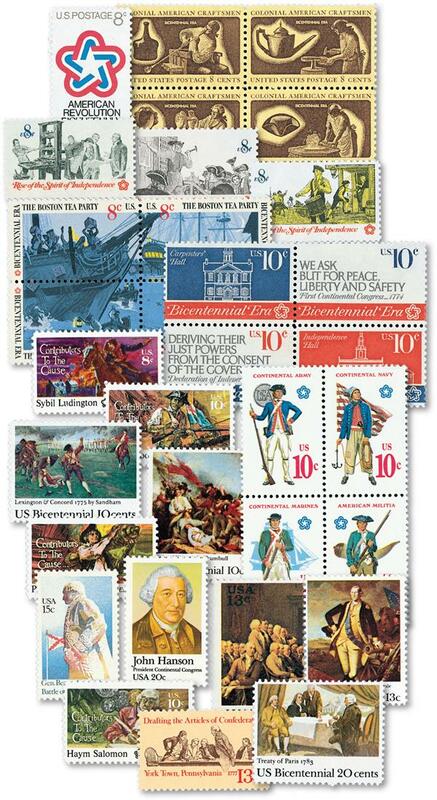 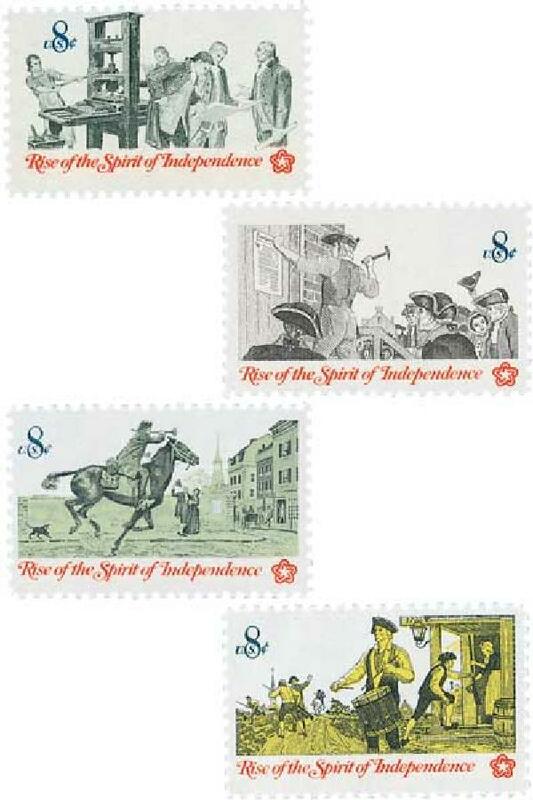 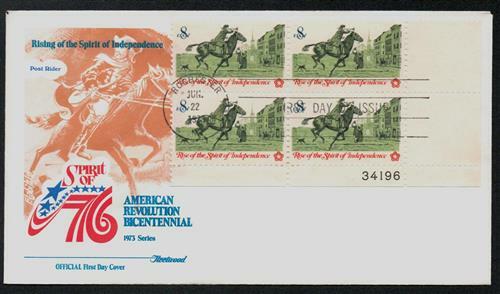 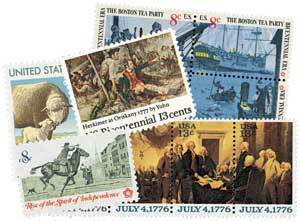 Issued to commemorate the upcoming Bicentennial celebration, U.S. #1476-79 was a set of four stamps chronicling the many ways patriots communicated the spirit of independence during the American Revolution. 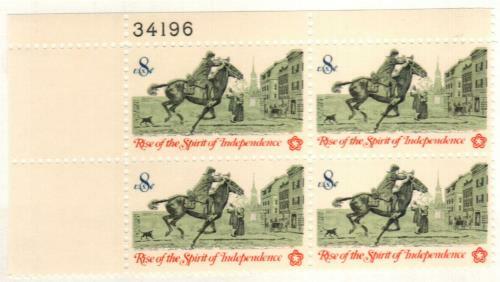 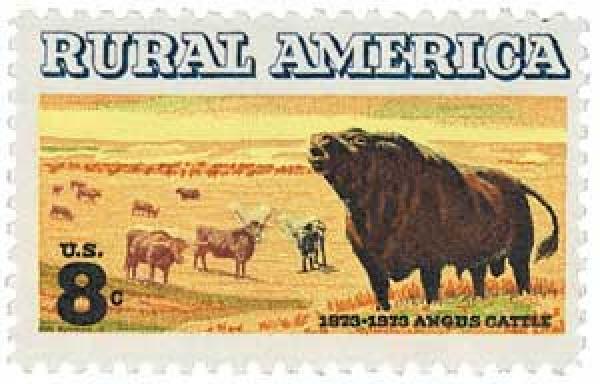 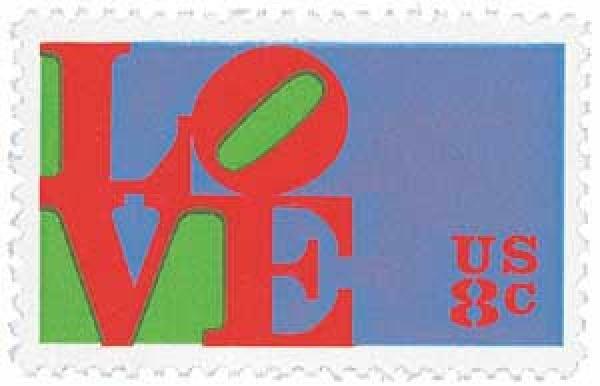 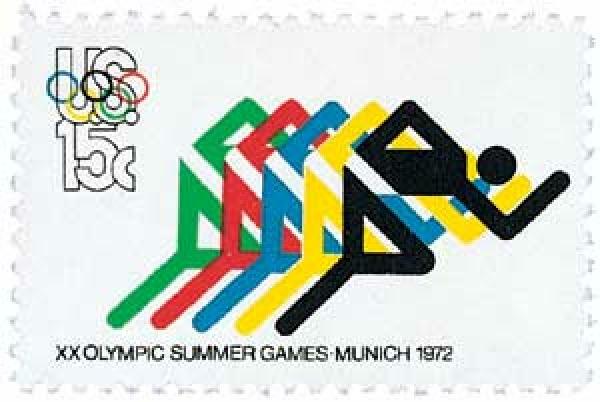 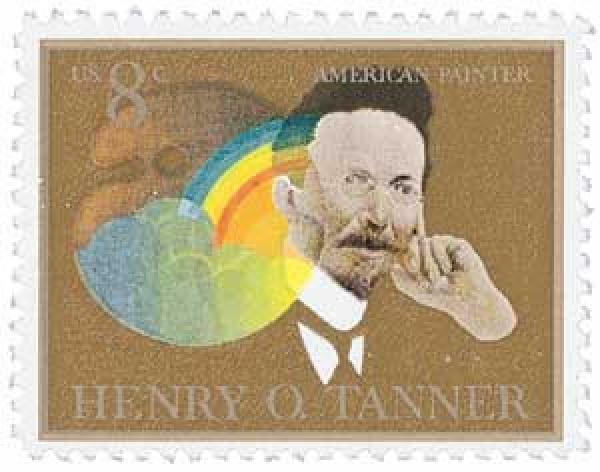 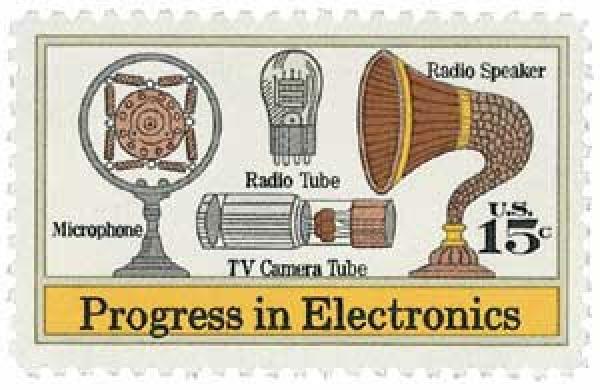 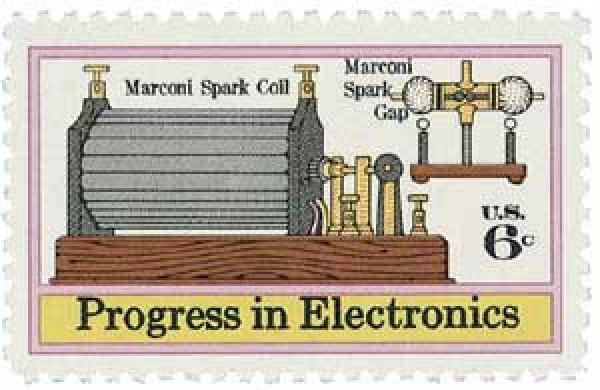 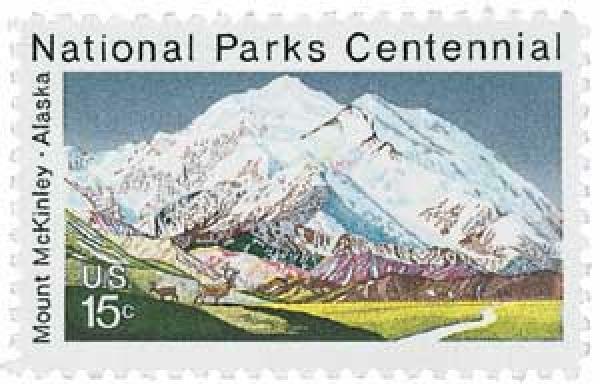 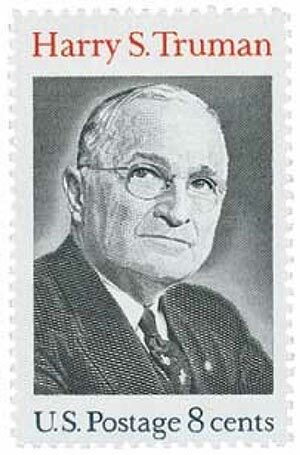 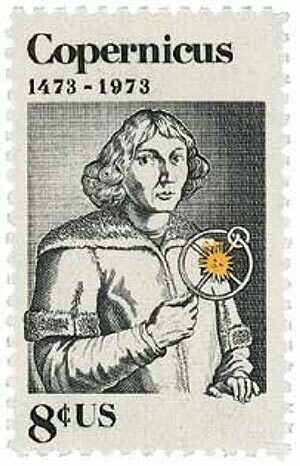 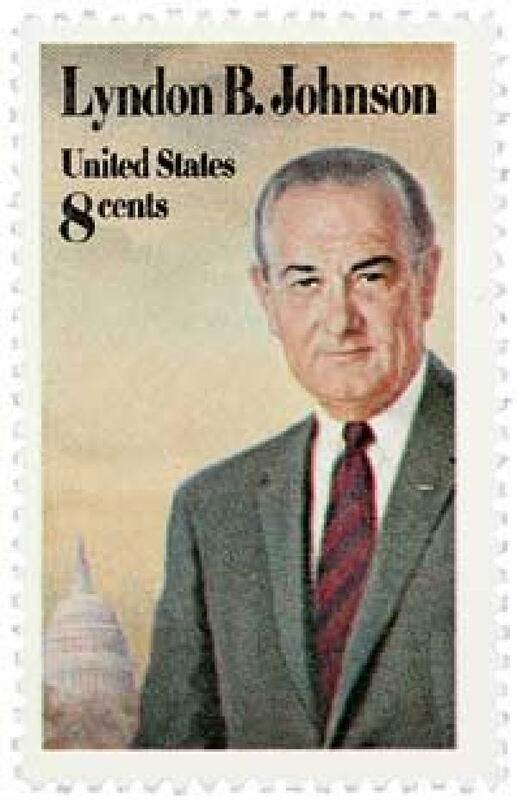 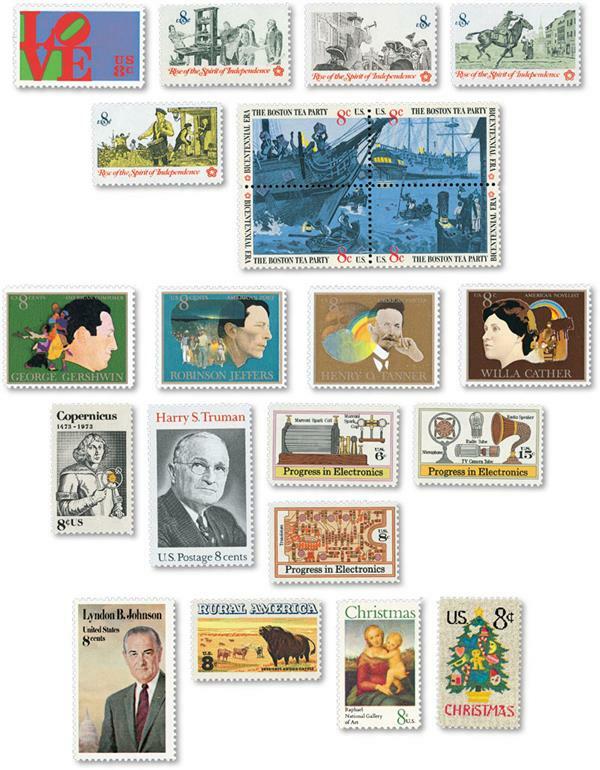 Each of the set of four stamps was issued on a different date and in different cities. 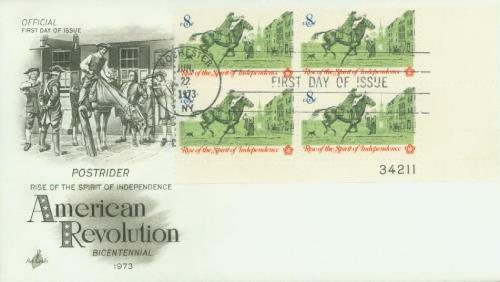 “Printer and Patriots Examining Pamphlet” (U.S. #1476) was issued on February 16, 1973, in Portland, Oregon. 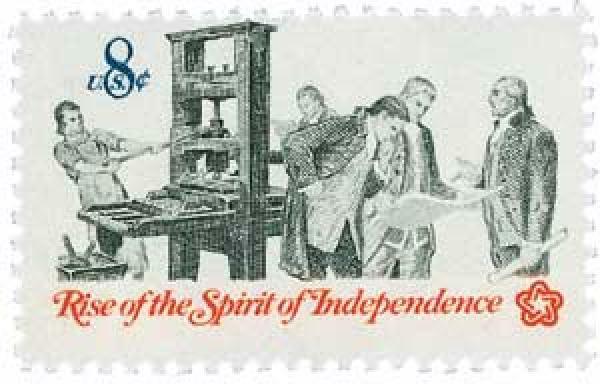 Issued to salute the roles of printers and pamphleteers who produced the words to unite patriots, keep their courage high, and urge Americans to fight for freedom. 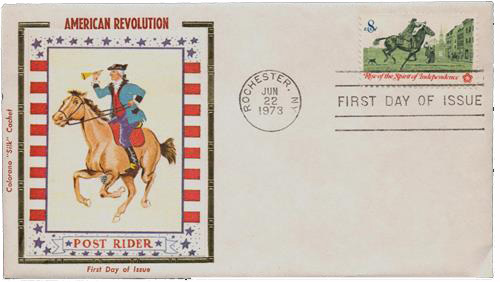 “Posting a Broadside” (U.S. #1477) was issued on April 13, 1973, in Atlantic City, New Jersey. 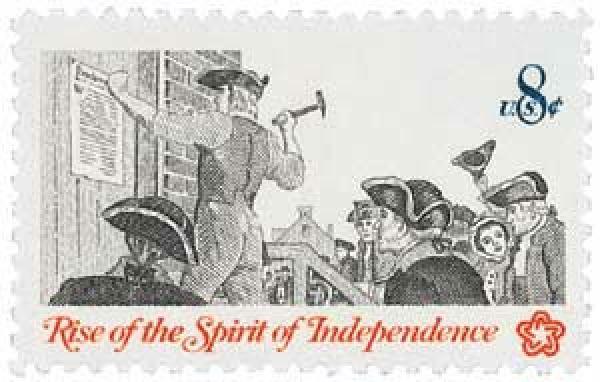 Issued to point out the importance of communications during the Revolutionary War. 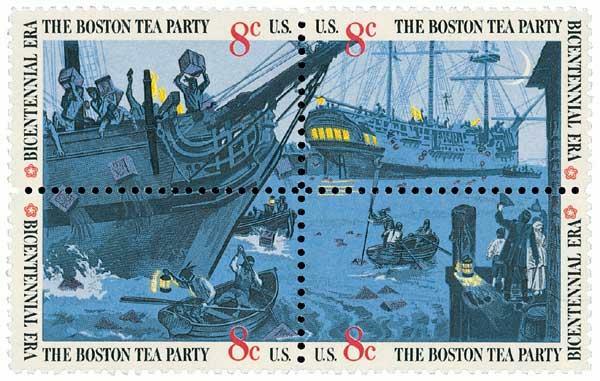 Broadsides were posters that were displayed to keep the colonists aware of events or to spread propaganda. 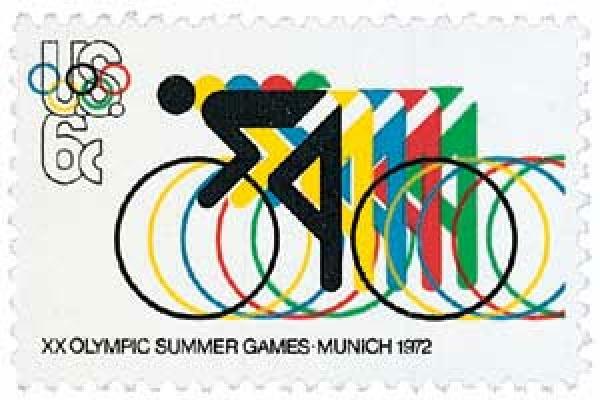 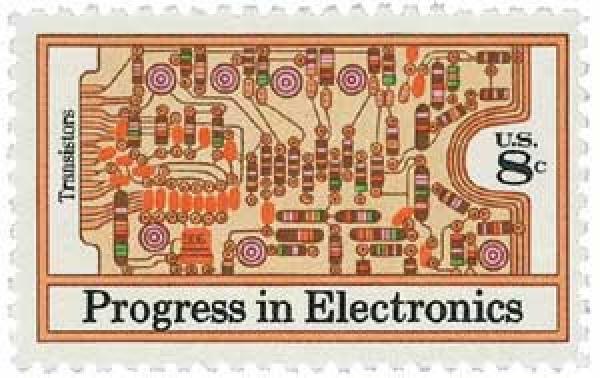 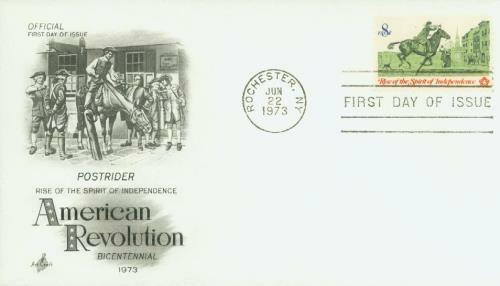 “Postrider” (U.S. #1478) was issued on June 22, 1973, in Rochester, New York. 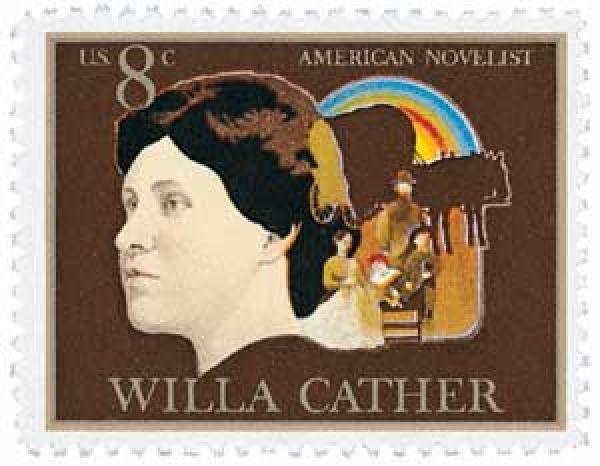 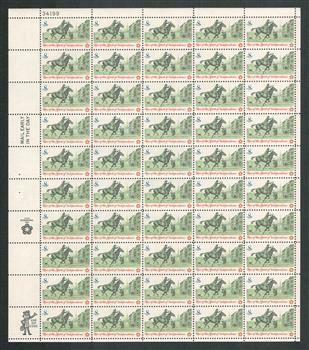 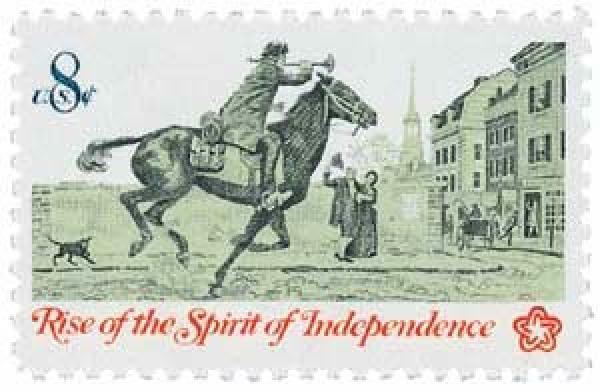 Issued in honor of the post rider who carried the mail on horseback. 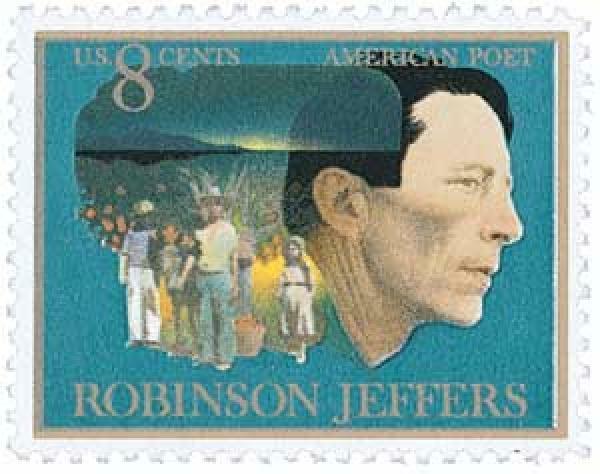 He was an invaluable source of information as his travels from colony to colony enabled him to know the mood of the people. 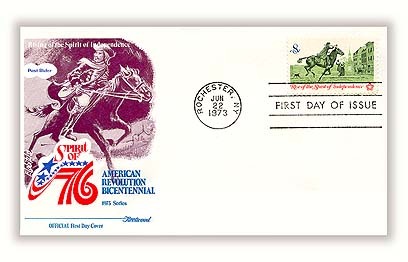 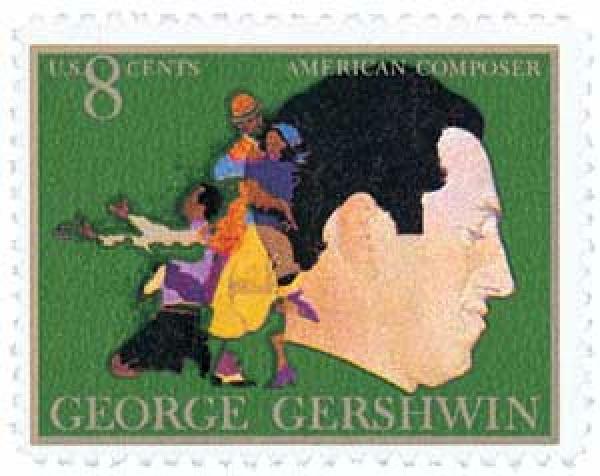 “Drummer” (U.S. #1479) was issued on September 28, 1973, in New Orleans, Louisiana. 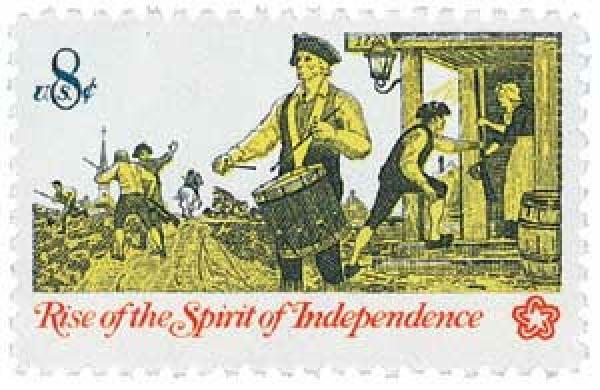 The last in the series on Colonial Communications is the drummer who marched into battle or used his drum to summon his neighbors to defend their homes.